U Bolts Manufacturers. 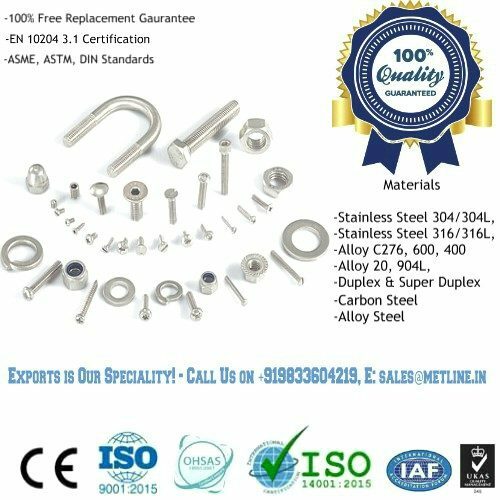 Buy Top Quality Stainless Steel & Special Alloy U Bolts at Best Prices! 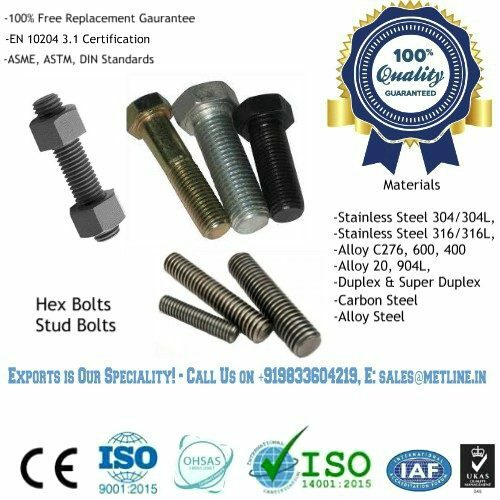 U Bolts Manufacturers & Suppliers in India – Buy Top Quality U Bolts at Factory Prices! 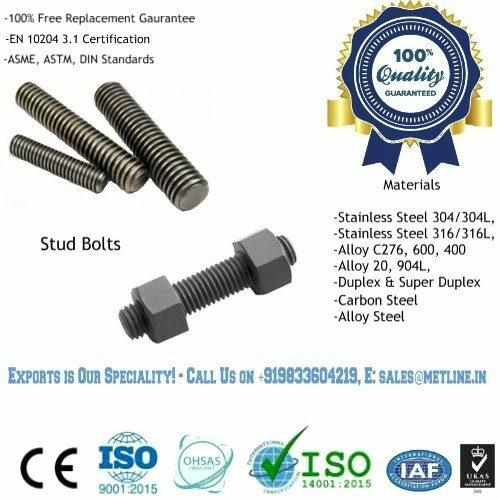 Metline is a leading manufacturer of “U bolts” in multiple sizes and lengths as per ASTM A193, ASTM A320, ASTM A325, ASTM A307B, and ASTM A490. 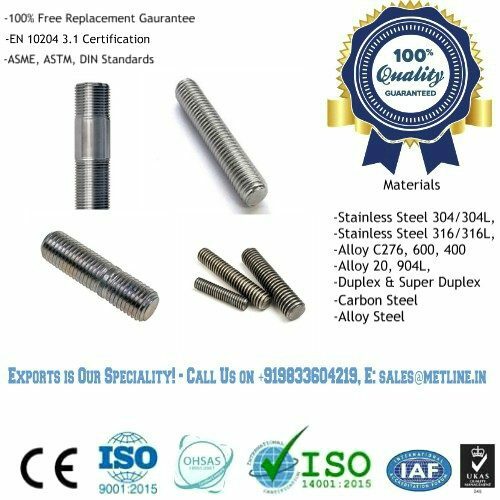 We offer U bolts in materials such as ASTM A193 Grade B8M, Inconel, Monel, Titanium and Other Special Alloys. U-bolts are bolts that are shaped in the letter U. They can come either round (curved at the bottom) or square bent. U-bolts are u-shaped bolts with two machine-threaded ends. These bolts include attached nuts and plates. U-bolts can be used to support pipework and plates.